I was served by Midland Funding on the 8th (well, not me personally, but they left the paperwork with someone who was in the house). They are suing me in Superior Court for a nice amount for a credit card I used to have with a credit card company and stopped payments almost 2 years ago. 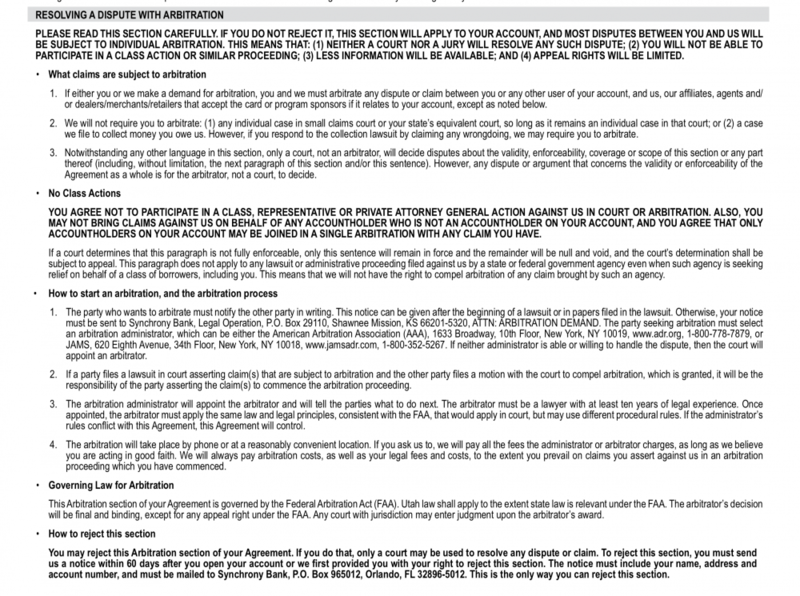 -an affidavit from a media representative of the credit card company saying that they sold a pool of charge off accounts by a purchase and sale agreement and a Bill of Sale to Midland Fnding. then it's page of my billing statement- like what you get in the mail when your monthly payment is due. its the statement from May 2018.and also one from December 2017. "1- i have access to pertinent account records for Midland Credit Management, Inc., servicer of this account on behalf of plaintiff....plaintiff is thew current owner of, and/or successor to the obligation sued upon, and was assigned all the rights, title and interest... I have access to and have reviewed the electronic records pertaining to the account maintained by Midland and am authorized to make this affidavit on plaintiff 's behalf. The electronic records reviewed consist of data acquired from the seller when plaintiff purchased the account, together with records generated by Midland in connection with servicing the account since the date the account was purchased by plaintiff. 2- I am familiar with and trained on the manner and method by which Midland creates and maintains its business records pertaining to this account. The records are kept in the regular course of business. it was in the regular course of business for a person with knowledge of the act or event recorded to make the record or data compilation, or for a person with knowledge to transmit information thereof to be included in such record. in the regular course of business, the record or compilation is made at or near the time of the act or event by Midland as a regular practice. 3- Midland's records shows that defendant owed a balance of.... 4- defendant opened account on.. and it was charged off on.. 5-account was sold to Midland on or about 'date'. What kind of card is it? Arbitration is your only chance. They will get a judgment if you try to fight this in court. As far as bankruptcy, it's based on income and assets vs necessary expenses. If you have equity in your home (or any other property), you will have to sell it to pay creditors. You also don't get to classify $15/day @ Starbucks as "food". Living expenses are based mostly on a fixed formula. But the good news is you can make Midland dismiss the lawsuit against you by using arbitration from the credit card agreement. The first hurdle is knowing whether or not arbitration is an option. You didn't say who the original creditor was, but a couple creditors have removed arbitration from their card agreements. Read the first few posts of this thread to get a better idea how arbitration works. No, after all necessary bills, I have only a couple on hundred dollars left for food and gas. Equity in my home is about 52K but I heard in AZ you can have an equity of 150K before they make you sell the house. Also, looking into arbitration, it looks like a good idea. However the debt is for 11K. I read through posts of people using this against midland, but their amount was much lower, which is a better odd for them. For me, even if Midland has to spend 3K or 5K, they would still get some money if they won. I have a question through. If I go into arbitration and they end up following me there and winning, do I have to repay them for the fees they had to pay to follow me there? Also, how do I file an answer and MTC with the Superior Court in Phoenix? We've had dozens and dozens of people use arbitration. Many of them for debts twice the amount of yours. Midland (or any other JDB) has never followed anyone. It's just not part of their business model to spend that kind of money to collect debts they buy for next to nothing. They won't follow, but even if they did, AAA rules expressly prohibit you from getting stuck paying any more than the initial $200, so long as you don't try to make your own claims against Midland. Even if you did bring claims, the arbitrator would have to find that your claims are frivolous. And again, Midland won't follow you in anyway, so it's really a moot point. It doesn't get much better for you. I affectionately refer to the Synchrony card agreement as a Golden Ticket. They have one of the best arbitration clauses around. There is a part that says they will even pay your fees if you ask them to. So you probably won't even have to pay the filing fee. Also, how do I file an answer and MTC with the Superior﻿ Court in Phoenix? You'll have to pay a fee to file an answer (or any other 'appearance' filing) in court. I think the answer fee in Superior Court is around $200. There are forms at the clerk's office. You can use those, or the samples in the arbitration thread I linked to. I would advise filing an answer asserting arbitration as an affirmative defense, and separate MTC. Attach the card agreement to the MTC, and a notarized affidavit stating the card agreement is the correct one for your account. Sometimes after the MTC is granted Midland will wait until you file with AAA before dismissing the lawsuit. I would include with the MTC a condition, in accordance with the card agreement, for Midland to pay your portion of the filing fee. If the judge signs off on that, it will preclude any chance of them waiting around and saying you didn't pay your fee. I will check with the clerks office tomorrow morning but this is all pretty complicated when you’re just learning everything all at once. The wording and the paperwork to use is so confusing. does anybody know any lawyer or someone reputable that could do this for me for a decent price that I can meet with? Or that could at least prepare the paperwork and guide me along the way. I have a business trip on Wednesday and won’t be back until the 26th. My 20days are up on that Monday, the 29th. is that Monday the 29th, included in the 20 days? also, I wasn’t served myself. The guy gave it to someone who was at the house. Are the 20 days starting on that day or do they have to mail a copy as well? Also, can we file the answer online or do we have to mail it? Or go to the court? Floyd Bybee. He'll charge around $1,000 to defend it in court, but on a debt this large, likely best possible outcome will be some sort of settlement where you'll still owe Midland a couple grand. Lawyers aren't hip to arbitration yet. The 20 days starts on the day after you were served and includes the 20th day. Yes. Maricopa has e-filing for superior court cases. And you can view documents filed in your case here. The 20 days starts on﻿ the day after you were served and includes the 20th day. Just to be sure before I proceed with this. This is the agreement I found online for the synchrony care credit credit card. is this enough to include with the notarized affidavit, or should I include the whole agreement? Also, would it be best to only file the answer first and then later file the MTC, or is it better to do them both at the same time? and why? and lastly, it states that the party who wants to arbitrate has to notify the other party in writing. would filing the answer with the affirmative defense of arbitration be notifying the other party in writing? or do I need to send Midland a letter too?